Android Oreo(Go edition) is the latest version of the operating system that has been specially designed by Google keeping in mind the low-end hardware phones.Google is planning to take its Android OS to more users in the coming times. Company's Android Go and Android One are part of its plan to give a more unified user experience to its consumers, especially in the inexpensive smartphones. Google has mentioned that its devices running on the Android Go OS will have1GB of RAM and would be priced at around Rs 3000. The devices are reported to come with 8GBs of Internal memory. Although, Google launched its Android Go edition almost 2 years back, it is only now that the Mobile phone manufacturers are paying heed to the lighter version of the Android OS. After a long wait, finally, India's first Android Oreo Go edition smartphone, Lava Z50, has been launched. The smartphone has been priced at Rs 2400 and sells under the slogan 'Mera Pehla Smartphone' Programme by Airtel. Lava's latest Z50 is currently the cheapest Android smartphone if we take the Airtel's Rs 2,000 cashback into consideration. Moreover, the phone performs all the basic functions without any hassles. More is not always better, and the Z50 proves it. The phone comes with 1GB of RAM and comparatively low-end hardware but given that the phone runs on Google's latest Android Oreo Go edition. An operating system that has been well optimized to provide the user with a rich experience even with relatively cheaper hardware. Android in itself is a very operating system when compared to its nearest competitor Apple's iOS. Notably, Apple's devices perform exceptionally well even when they are not supported with 8 GB of RAM. The secret is in the operating system itself. Google, with its Android Go is trying to replicate the same results with devices running on relatively low-end hardware. While Lava Z50 is only the first device running on Android Oreo Go edition that has been launched in India. There are other devices already lining up. 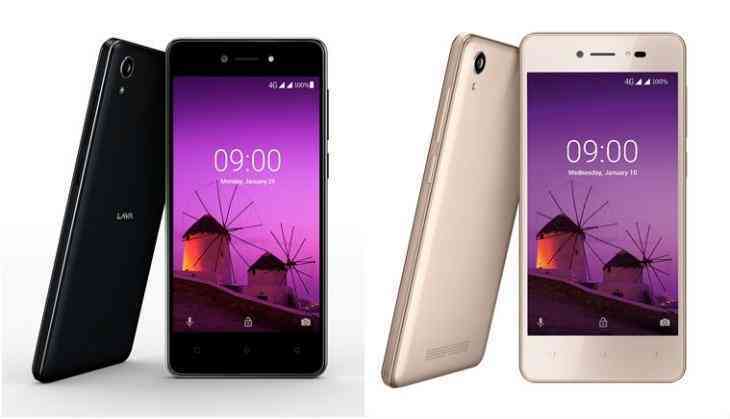 With Nokia having announced its Nokia 1 and desi players Micromax and Intex already working on their versions of Android Go devices, this may be actually the future of the mobile phones. Moreover, given the price of the Lava Z50 with the Airtel cashback offer, It gives a really tough competition any device that boasts of being cheap and performing. The phone can even take on the likes of the Jio Phone with the price it comes for. The phone can fundamentally change the equations of the smartphone market in India and needs to be taken really seriously.